Our radio show on LDOK Radio has a special guest each week, which you can listen again to here on our website. Manchester Million, Opus4’s Marketing Director, Andrew Jackson and Chief Executive of Forever Manchester, Nick Massey were on our radio show with Ambassador Terry Snowden this week. 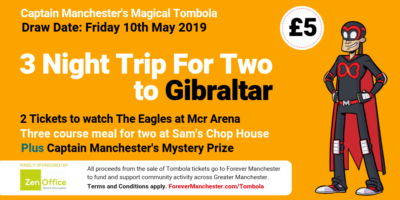 Andrew and Terry spoke about the corporate partnership Opus4 have with Forever Manchester, the plans the company has to raise money for us this year and everything else in between. Terry and Andrew built a great rapport on air, allowing the listener to find out information about Andrew they may not have previously known.